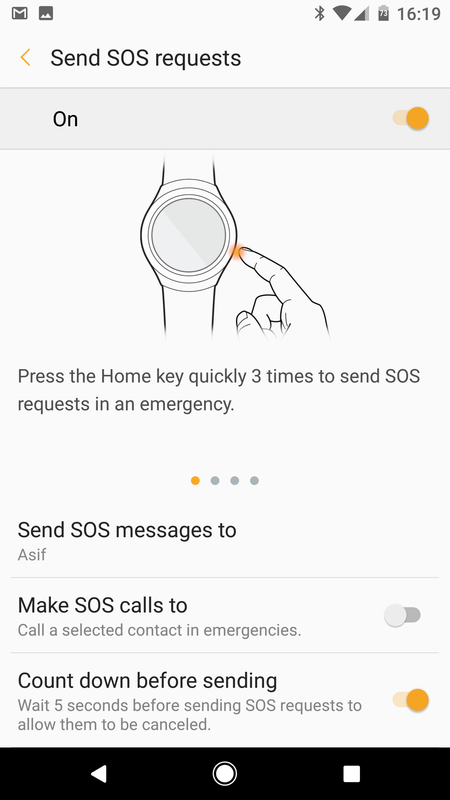 Once enabled, Gear S2 and Gear S3 owners will be able to triple-press the home button to send an SOS request to their emergency contacts. Unfortunately, the wearable version is unable to record audio or take a photograph, but it does retrieve the coordinates of your location using GPS and attach them to a message that’s automatically send to predetermined recipients. In addition to sending an SMS, users also have the option to place a call to emergency contacts. Obviously, for Bluetooth variants of the Gear S2 and Gear S3, this will only work if your device is paired with your smartphone (the same applies to the default text function), while those in possession of an LTE model will be able to use their unit’s SIM to access cellular capabilities. 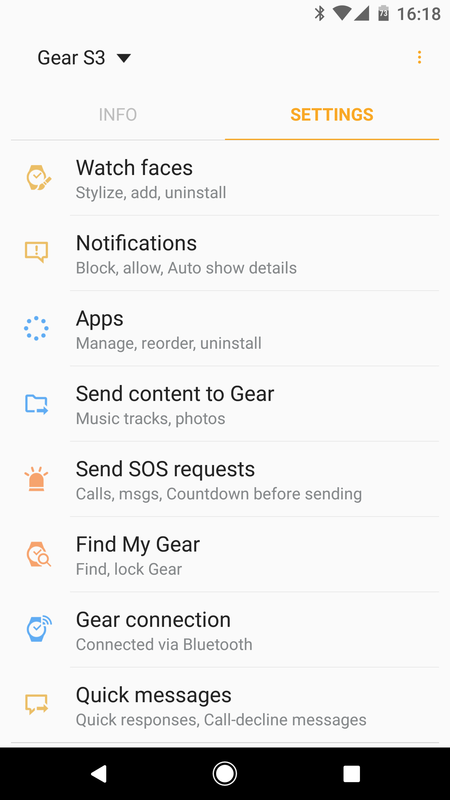 Open up the Samsung Gear application on your smartphone. Locate and select Send SOS Requests. Slide the toggle at the top from Off to On. Select at least one emergency contact. Once you’re done adding emergency contacts, go back to the main Send SOS Requests menu. That’s all there is to it. 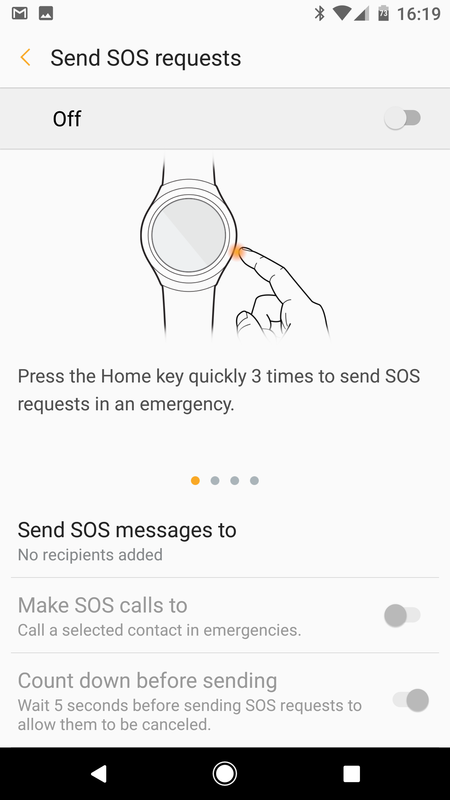 Now when you triple-press the home button, your watch will send an SOS alert to your predefined contacts. 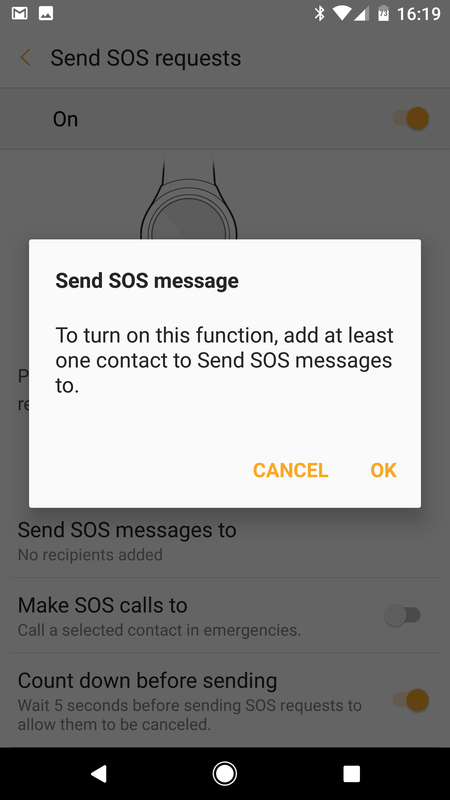 If you are worried about accidentally sending SOS requests, you can enable a countdown option to add a 5-second wait before a message is sent. Also keep in mind that since the SOS feature uses SMS, you will be charged based on your carrier plan. If you happen to run into any issues along the way, do be sure to let us know in the comments section below, and we’ll do our very best to get you back on track. You can also reach out to us over on Facebook and Twitter, but unfortunately we can’t promise an as speedy response time as we can on our own platform. That’s wrong. No logic to your comment. If you have the Bluetooth version you’re going to have your phone with you, hence it’s not useless. I live in an earthquake zone, and for us it’s a great tool to have. Some people just have no brain. Your phone may be inaccessible, but the watch is on your wrist. Smh. It’s not useless, it’s much easier, faster and especially you can send an SOS message without attracting attention, when you are in danger or threatend. If you have to pull out your phone to do so, you might get shot already.